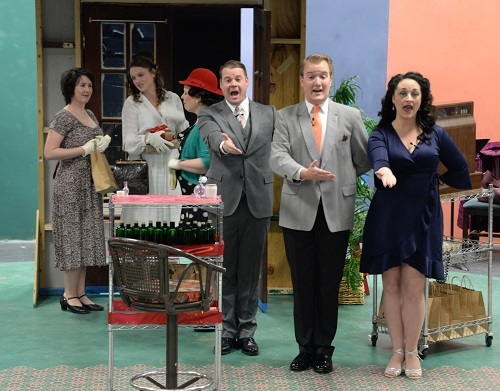 ‘She Loves Me’ at Newtowne Players’ Theatre. “If you are looking for a great way to celebrate the love of your life or just enjoy a story about falling in love, go see this show. You won’t be disappointed by the quality and the heart that Newtowne Players brings to the stage.” –Kaylin Beach. Synopsis: Considered by many to be the most charming musical ever written, She Loves Me is a warm romantic comedy with an endearing innocence and a touch of old-world elegance. Georg works at a modest Hungarian parfumerie and spends his free time pouring out his heart in anonymous letters to Dear Friend, the love of his life. Amalia gets a job at the shop and its immediately clear how much they hate each other. It’s also immediately clear – to the audience – that Amalia is Georg’s Dear Friend. What will it take for Georg to realize that she loves him and for Amalia to realize that there’s something about a man who won’t help her find her Other Shoe when he brings her Vanilla Ice Cream!?! 2. 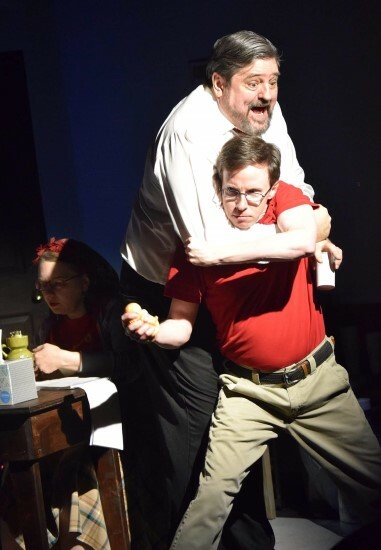 ’12 Incompetent Jurors’ at Laurel Mill Playhouse. 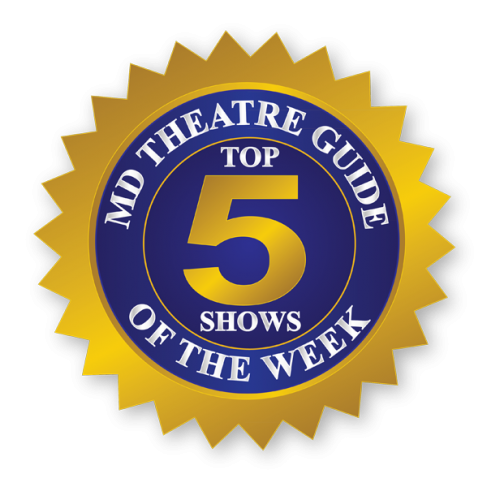 “Chalmers is a fine comedic director, and this show is no exception.” – Susan Brall. Synopsis: When a man is accused of abducting half a dozen cats, it’s a simple open-and-shut case, even for a jury that’s filled with oddballs like a dim-witted PR guy, a bickering couple, and a man obsessed with french fries. After all, every scrap of evidence indicts the accused. (I mean so clearly. The man is very, very guilty of stealing cats. Case closed.) And yet, Juror #8, a wannabe lawyer, believes that the “Cat Burglar” is innocent. Will he be able to sway the other jury members? Or will they side with Juror #3, the only sane man in the room? A hilarious parody of 12 Angry Men. 3. 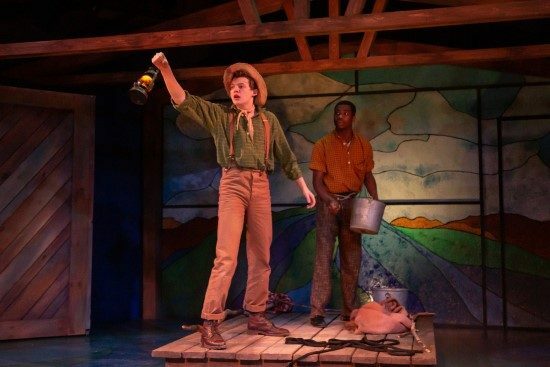 ‘Huckleberry Finn’s Big River’ at Adventure Theatre & ATMTC Academy. “If you want to introduce your children of almost any age to musical theatre and to the works of Mark Twain, this is a perfect spot to take them.”- Susan Brall. Synopsis: The small-cast hour-long version of Mark Twain’s polarizing novel removes offensive language and expands the role of Jim, now the same age as Huck. Twain’s classic sweeps us down the mighty Mississippi as the irrepressible Huck Finn helps his friend Jim, an enslaved teen, escape to freedom from enslavement. This tale of friendship against all odds is recreated for young audiences as two best friends demonstrate the power children have to change the world. 4. ‘Once’ at Olney Theater. “If you enjoy theatre that explores the truths about human lives and relationships in fresh, interesting ways, “Once” is sure to please.” – Johanna Alonso. Synopsis: This Tony-winning gem of a musical took Broadway by storm with its romantic folk-rock ballads and an ensemble that plays its own instruments. Set in contemporary Dublin, a street guitarist is about to give up on his dreams when he meets a curious woman who wants to know all about him. Captivated by her optimism, the two embark on a remarkable music-making journey that includes a cadre of unlikely companions — immigrants, oddballs, and lonely hearts. Along the way, can the two of them find love? Based on the 2006 film which won an Oscar® for Best Original Song, Once ponders the mysteries of music and love. The cast of ‘Once’ at Olney Theater performs “Gold (Reprise).” (Photo: Stan Barouh). 5. 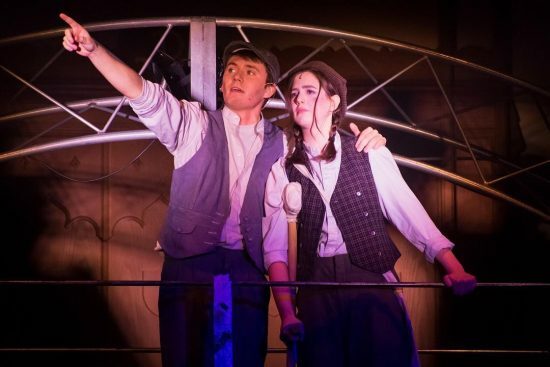 ‘Newsies’ at Third Wall Productions.